Preventive Dental Care at Sky Clinic aims to help you avoid common problems like cavities and even gum disease that may be present in the inner sections of your mouth. Your dentist will examine your mouth cavity thoroughly, individually clean, scale and polish your teeth as well. A dental cleaning reverses slight discolouration, removes tartar and plaque build up, renewing your smile completely. 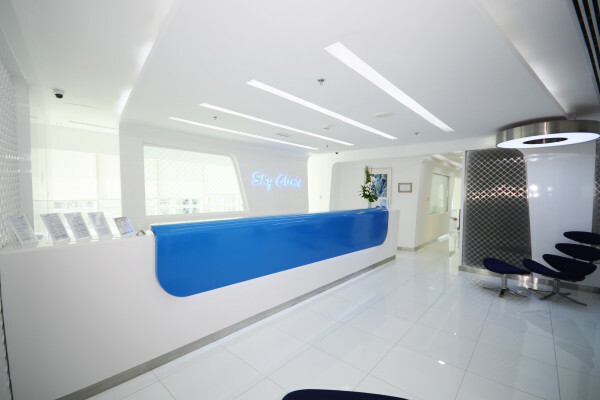 A regular dental check up in Dubai is important for the entire family as it further helps identify other problems like teeth crowding, or bad bite which usually begins with teens. Early detection means you can avoid serious dental surgery later on, by taking effective counteractive measures early on while the problem is still developing. Preventive dentistry also means your dentist can monitor common problems such as an impacted wisdom tooth, or gum disease. A regular dental check up every six months will prevent you from going under the dreaded dental drill. Your dental hygienist will alert you to early signs of dental disease, take preventive measures to reverse the damage and even go as far as strengthening your teeth with our special fluoride treatment. Fluoride Treatment helps your teeth to regain lost minerals and slow down the tooth erosion process. Having healthy teeth means you can enjoy smiling, talking, and eating without fear, embarrassment or pain. The Sky Clinic’s Preventive dental treatments are designed to give you optimal dental health enabling you to not only avoid more serious dental work in the future, but also means you will save valuable time and money later on.